OK so you wanted to bring some wine to a dinner party and look like you knew what you were doing when you picked it out, or order wine at a nice restaurant, and possibly buy a bottle as a gift for your boss or connoisseur, or most importantly purchase a bottle for yourself to enjoy with dinner or on it's own. That is what we're here for - to simply give you information to make these choices easier for you. So we'll explain some grape basics that must inevitably start with the different grapes used to produce some of your favorite juice. Here in America and some other New World wine regions (Australia, South America, South Africa) we identify our wine by the grape variety that dominates that particular wine. Most producers make a Cabernet Sauvignon that they want to label and sell as a Cabernet Sauvignon. That Cab (short for Cabernet Sauvignon) must contain at least 75% Cab. They can blend whatever other grape they want in there to balance their wine out, and they can use 100% Cab in that wine if they feel it does not need another red grape variety to balance it out. This is done to protect the consumer, so when we purchase a bottle of wine with the grape varietal listed on the label we can be sure it is that grape varietal in the bottle. So now lets look at some varietal wines you will see at your local wine store. Cabernet Sauvignon (ka behr nay-soov en yawn) is the big daddy of the red wine world. It is the famous grape that is used in the Bordeaux region of France, and is produced in quantity in North America, South America, Italy and Spain. Cab is a red grape that produces a red wine that is full bodied, rich in all its flavors, firm and able to age for long periods of time in the bottle (depending on the winemakers intention, and the region). It is aromatic and deep in all it aspects. Some flavors that can best describe Cabernet Sauvignon are black cherry, cassis, and raspberry. These flavors are balanced out with tannins and acids. Besides the fruit flavors present in Cab, there are predominant flavors of tobacco, cedar, oak and dried herbs. Cabernet Sauvignon is a stronger wine that is most often worked up to. Usually starting with lighter bodied, mellower reds and graduating to the tannic, very full Cab. But if you want to jump right into it and start out with Cab, more power to you. Now we can move onto a red grape that is easy to drink, and easy to pronounce. Merlot (mer-loh). This grape is also famous for it's use in the Bordeaux region of France. Merlot has been very popular in the last 15 years here in America because it is generally smooth, juicy, doesn't need a lot of time to age in the bottle, therefore can be drunk upon release. Some producers do go for a tougher more tannic Merlot, but it is the nature of the grape to be plump and soft. Merlot makes beautiful wines that are medium to dark red in color, have a fruity complexity highlighting cherry and black currant flavors. Merlot generally has lower tannins than Cabernet Sauvignon and comes across rounder and a bit sweeter (Merlot usually has higher sugar levels). There are Merlots out there that are made to age, (and some do age well) that do not start off the soft, fruity little thing in a glass. The French use Merlot so well in blending with Cabernet Sauvignon, and some other grapes, it is easy to see why New World wine makers want to use Merlot the way they do in Bordeaux. If you are starting off with Merlot for the first time, there are hundreds of California offerings out there that you will fall in love with. Just ask me, I will tell you where to start. Now on to another grape that we look to France to learn about and emulate, Pinot Noir (pee noh-nwahr). Hey, the French have been doing this wine thing for 2000 years, so it only makes sense that the three top red wine grapes that American's enjoy most, have French origins. Pinot Noir finds it's home in the Burgundy region, in eastern France. There it has produced such exquisite wines over the years that collectors of fine and rare wines pay large sums of cash to get their hands on bottles from highly regarded regions and wine makers. Pinot Noir is a delicate and lighter bodied wine than the two previously discussed, but it does not dilute its flavor or intensity at all. A youthful Pinot Noir is light purple in color and has a strawberry, plum flavor that can have great depth and smoothness. Pinot Noir is grown in many places around the world bet I suggest to look towards Oregon and California in the beginning and then branch out to the French Burgundy's from there. Oregon has emerged as a leader in fine Pinot Noir mainly due to its climate and growing conditions that make this hard to tend to grape flourish in the great Northwest. 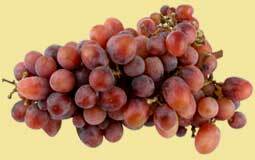 Lets talk about a red grape that dominates the landscape of California. Zinfandel (zin fun dell) (and it is fun). I say it dominates California because it is the most extensively planted red grape in California, if not the most recognized. Zinfandel has had sort of an underground following for years with fans loving it for it's character and flair, and also because it wasn't the wine "everybody was drinking". Zinfandel is one of my favorite grapes, and I urge everyone to try at least a couple of bottles to get a feel for what it offers. Zinfandel is known for hitting you with it's spicy, robust berry flavors, and has a terrific dark purple, red color. If the wine maker decides to remove the skins quickly from the juice after pressing he will make White Zinfandel. As well as it sells White Zinfandel obviously has its place, but (red) Zinfandel is where it is at. Zinfandel might be a little harder to hunt down if your nearest wine store doesn't have a large selection, but keep hunting.